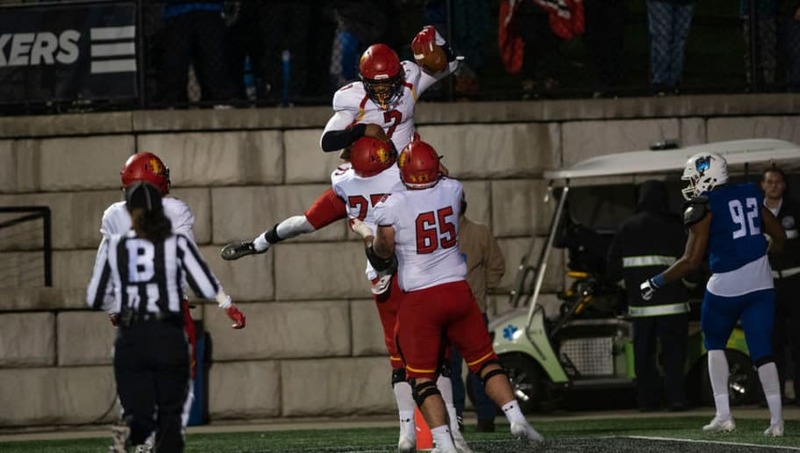 ​The Ferris State football team is undefeated and it could mean nothing because of an ineligible player on their roster. The ineligible player was Dan Perry, who played in the team's first four games and logged five tackles in those games. ​​Perry transferred to Ferris State from ​Kent State and redshirted last season. Kent State wasn't the first college stint for Perry as he wrestled at the University of ​Michigan from 2016 to 2017. Once it was discovered that Perry was ineligible, the team reported to the NCAA of a secondary violation involving a member of the team and hope to get him reinstated. ​​If the NCAA rules against Ferris State, the team may be forced to forfeit games, ruining their perfect season. The Bulldogs are ranked No. 2 in Division II thanks to a 7-0 start, but with an ineligible player involved in four of their games, it's unknown if they can stay at the top.